Matishayu as he came out at the Boulder Theater. So, same long wait, same great reggae rock music. “Jerusalem” sounds just as good without the hair. 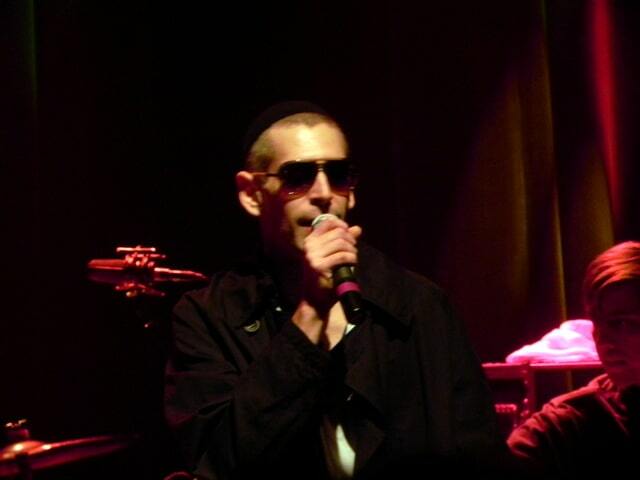 Just for the record, Matisyahu still sports kippah and tzitzit under his long black coat, but with dark glasses instead of facial hair, he looks more mainstream. Sort of. In any case, he sold out the Boulder Theater Thursday night for what was undoubtedly his first public non-hirsute appearance anywhere besides Twitter. 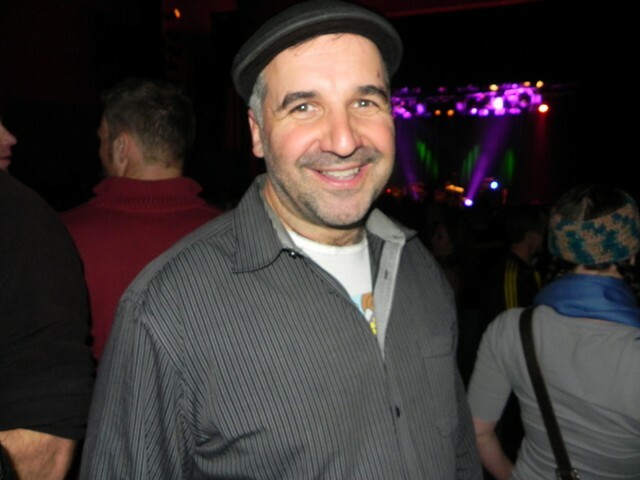 Rabbi Marc Soloway at the concert -- and clean-shaven in solidarity with Matisyahu. The Boulder Jewish community turned out in big numbers, but so did other fans of all colors, sizes and looks. And they were all swaying to the great beat Matisyahu lays down – heavy on the bass, and reggae and world rhythms at the same time. “Miracle” was, well, just that… a miracle to behold. Matisyahu ended his set with “One Day’, which was a beautiful thing, and had the crowd singing along. He also brought up on stage most of the kids standing in the front row, and made a party of it. 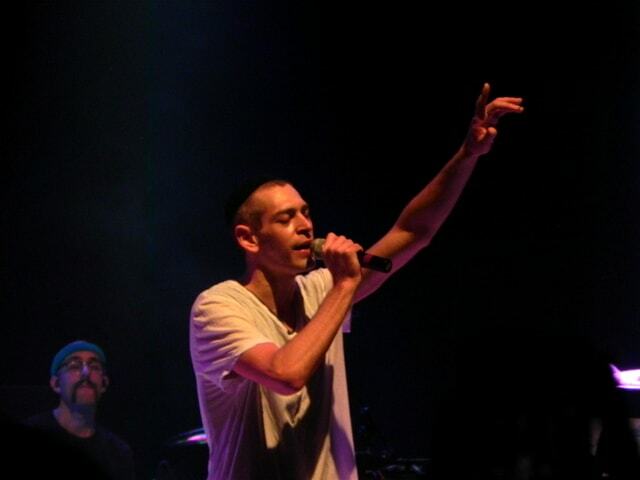 After the song, and after the stage cleared, Matisyahu came back out for a series of long encores, apparently unusual at his concerts. Full disclosure: I have not seen Matisyahu in concert before, nor have I listened to a great deal of his music. But I am definately a fan now, and it has nothing to do with whether or how frum he is or isn’t. This guy just makes awesome music. And that’s what it’s all about. Check out concert coverage from JTA here. Matisyahu is a beautiful man with a gentle soul. Amazing show! Had an opportunity to meet with him and his wife and 3 boys after the show and he is truly a gentle man, a family man. It was an honor to be at his concert davenning with him through music.